The internal debate in Labour about what relationship we want with the single market (irrespective of whether or not it is through the EEA) has turned in part on the question of whether it entails continued reciprocal freedom of movement for citizens. On the one hand, we indeed have to understand the public’s concerns about migration and take action on this. But on the other, foregoing full access to the European single market would have a major economic cost. Is there a way to square the circle? Yes, by fully and robustly implementing three sets of changes, which Britain can do without asking permission from anyone else. Most migration to Britain is from outside the EU, entirely under British national rules. The government has complete policy control over it – a fact the government kept quiet about when it wanted to shift the blame for its own failure to meet its own target on reducing immigration. Many of the public’s concerns could be addressed with existing powers, which does not require any agreement to be reached with other EU countries. And many of the public’s concerns about immigration are actually about non-EU migrants, often fuelled by misleading campaigns by certain parts of the British press, who frequently associate them with fears about security, cultural change in our communities, and so on. Clearly, we would want any such measures to be fair, proportional and clear. But it is a purely British decision. EU freedom of movement is not an unconditional right. There are important restrictions, which Britain has failed to use. Other EU member states ask thousands of people to leave their country every year. It is Britain’s failure to use such safeguards to the full, and, where appropriate, send back those with no right to remain, which created the impression that free movement is a free-for-all. be able to show that they have sufficient resources not to be a burden on public funds and sickness insurance. Individuals can also be excluded or expelled in the event of abuse or fraud, and other serious criminal offences. Furthermore, EU migrants are not automatically entitled to claim benefits in the UK. They must meet a number of requirements, which could be enforced better or even tightened. For example, there is never any obligation to pay benefits classified as social assistance (like housing benefit and income support) to recent migrants who do not have a job, and the obligation to do so for social security benefits (like child benefit, invalidity benefit or contribution-based Jobseekers’ Allowance) only applies if someone passes the habitual residence test (which requires having resided in the UK for an ‘appreciable period’ and having a settled intention to remain). Britain could, if it so wished, classify more benefits in the former category (social assistance) and review its rules on habitual residence. A June 2016 EU court ruling has opened the door to much more leeway on this, as have a number of other recent judgments. Social security could therefore be made to require further qualifying conditions, such as a certain length or value of contribution. Another bone of contention has been so-called health tourism. In fact, short term visitors are not entitled to NHS non-urgent treatment for pre-existing medical conditions and neither are they entitled to come to the UK specifically to obtain NHS treatment. Use of the European Health Insurance Card (a reciprocal arrangement for travellers, such as people on holiday) is supposed to be charged back to their country of residence, which we frequently fail to do. And like “health tourism”, also “benefit tourism”, to the extent it exists, can be dealt with under EU rules. In 2015, the European Court of Justice ruled that a country is entitled to withhold basic benefits from EU migrants if they have come with no intention of finding a job. EU law gives incomers absolutely no right to jump queues for social housing, and this should be made clear and applied. EU law gives migrants no right to just pitch up in the UK and claim unemployment benefits and this too should be made clear and applied. Prevent undercutting of UK wages (and exploitation of EU nationals by abusive employers) by properly enforcing the national minimum wage and going rates, now facilitated by the recent revision of the EU’s posting of workers directive. Tighten up rules on self-employment, which currently allow anybody to declare themselves as “self-employed” with minimal evidence. They also allow “bogus self-employment” (where companies pretend there is no employment relationship with their workers), often used to undercut local workforces. Reduce the need for foreign recruitment by boosting training, including an expansion of the numbers of nurses and doctors we train at home. Prohibit companies from only advertising jobs abroad and not locally. Reintroduce Gordon Brown’s Migrant Impact Fund, which directed some of the large surplus made by the Treasury from EU migrants, to areas where disproportionately high numbers of migrations have put pressure on public services. Reverse the spending cuts on the Border Force to ensure that serious criminals are deported or refused entry to UK. Where appropriate, enforce the rights we already have under EU rules to remove non-active EU citizens after 3 months. Take measures to facilitate integration of immigrants into British society (knowledge of language, customs and rules, ability to participate). As H.L. Mencken said, “for every complex problem there is an answer that is simple, clear and wrong”. We must not fall into that trap by implying that public concerns about migration can be met by simply tearing up the principle of European freedom of movement, or that this can be done without consequences. 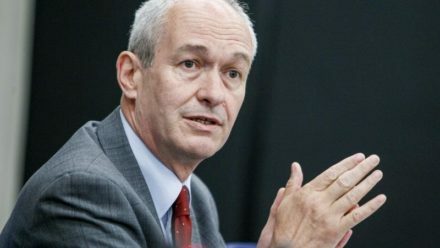 Richard Corbett is a Labour MEP for Yorkshire & Humber and leader of the European Parliamentary Labour Party.